California’s next governor will have an opportunity to play a major role in the health and well being of the state’s growing senior population. Right now, the system is inadequate to support vulnerable older adults who find it increasingly more challenging to live independently as they age. Roughly 70 percent of individuals age 65 and above will have long-term care needs at some point in their lives. When learning of this real likelihood, people feel deeply worried and unprepared. According to a March 2010 poll we commissioned with the UCLA Center for Health Policy Research, 66 percent of California voters 40 and older worry about being able to pay for long-term care that they or a family member may need in the future. Concern crosses party affiliation, with majorities of Democrats (72 percent), Republicans (59 percent), and independents (63 percent) worried about being able to afford needed care. The federal Affordable Care Act lays the foundation for a more cost-efficient and person-centered approach to care, but it will take leadership and vision from the next governor to get there. 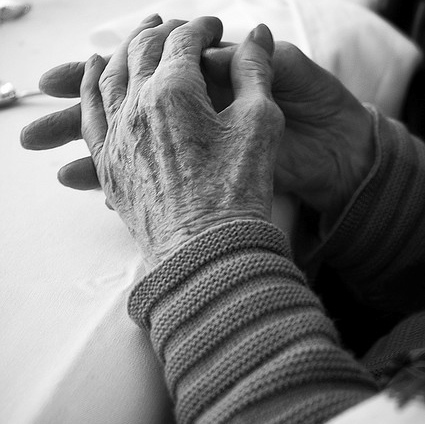 Cuts to the state’s already beleaguered long-term care system will not make the issue go away. California has the opportunity to restructure services and build a more sustainable network of home- and community-based services to meet the emerging need. Here are three recommendations for the next administration to consider in constructing a more rational system of care for the state’s aging and disabled population. As a first step, the next administration should support implementation of the Community Living Assistance Services and Supports (CLASS) program. This program is a voluntary federally-administered insurance product that will, without any taxpayer dollars, provide Californians with the opportunity to access services through a cash benefit. The state can encourage residents to be more invested in their own futures through public education campaigns about the high likelihood of needing long-term care in old age. State and local governments are collectively the largest employer in California and can take the lead in making community living assistance available to its employees. By encouraging personal responsibility for future health care needs, more individuals will be prepared to age with dignity and independence. Second, the state can apply for a number of home-and community-based program options in the Affordable Care Act that will bring increased federal dollars to the state, while keeping more individuals out of nursing homes. Proposals include “Community First Choice,” which provides community-based services and supports to eligible individuals with an increased federal Medicaid match. The state already has a “Money Follows the Person” grant and the changes made in the federal law will extend this program and expand eligibility to a broader group of seniors and people with disabilities currently in institutions. This valuable program will help these individuals transition back from a nursing home to the community of their choice. These are important tools for California to serve individuals in the most integrated setting possible, building a strong continuum of care, and meeting the state’s obligations under the Americans with Disabilities Act. Third, the state could support the growth of the direct care workforce, which provides the employment core of personal care workers to those with disabilities. According to the California Employment Development Department, projected demand in this field will grow by over 260,000 direct-care jobs from 2008 to 2018. The state and local entities have already applied for federal dollars to encourage students to become nursing assistants and home health aides but there is more to be done to support enriched training efforts that consider the unique needs of older people, all the while supporting job development in these tough economic times. The state’s next chief executive will have the opportunity to create a new system of care for older and disabled adults that is truly greater than the sum of its parts. While it may not be perfect, the new health reform law will give the new governor the power to transform long-term care in California toward a more person-centered, accessible, and affordable ideal, promoting individual responsibility so people can age how they want and where they want. That’s fodder for the next administration that resonates with today’s and tomorrow’s older Californians, no matter on which side of the aisle they sit. Bruce Chernof, MD, is president and CEO of The SCAN Foundation.